Mumbai: Former Indian cricket team skipper Sourav Ganguly has defended cricketers Hardik Pandya and K.L. Rahul over their "Koffee With Karan" episode controversy. saying people make mistakes but everyone should move on and ensure it doesn't happen again. Ganguly spoke at the trailer launch of the Hindi film "22 Yards", with the cast members Barun Sobti, Geetika Tyagi and Chaiti Ghoshal and director Mitali Ghoshal here on Wednesday. Pandya and Rahul were slammed over their sexist comments on "Koffee with Karan". 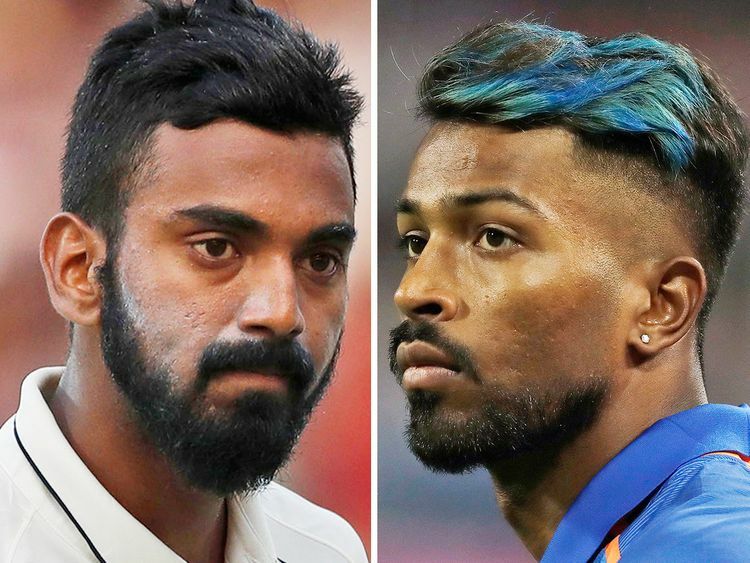 Despite an apology to fans and their own teammates, Pandya and Rahul were suspended by the BCCI and ousted from a three-match ODI series against Australia in Sydney. Asked if modern day cricketers should be responsible while giving statements on a public platform as a whole lot of youngsters look up to them, Ganguly said: "I haven't watched that episode. I watch 'Comedy Nights with Kapil'. Jokes apart, I feel that you can't generalise that only modern day cricketers should behave responsibly. People make mistakes. Let's not get too far into that. "I am sure whoever has done it will realise that and come out as a better person. We are all human beings. We are not machines that everything you put in comes out perfect. You have just got to live life and let others live. They are responsible people. They may be role models but they are under pressure all the time to perform. Certain things happen in life and as everyone, we should move on and make sure that it doesn't happen again." Does he feel modern day cricketers of India aren't responsible in their behaviour as compared to the past generation of cricketers? Ganguly said: "I feel modern day cricketers are also responsible, disciplined and obedient. In life, certain things happen and you make some mistakes so, let's not get too far into that. Look at Virat Kohli, he is such a fantastic role model. India is a fortunate country. Every generation produces players who all of us cherish." "There was Sunil Gavaskar and when he retired, people thought who is next, then Sachin Tendulkar came and when Tendulkar retired, people again asked who is next then people saw Virat Kohli. So, we are a very fortunate country in terms of sports and a lot of these cricketers are fantastic human beings because they come from very middle class backgrounds and fight their way up." Bollywood has made films on the life of sports personalities like Milkha Singh, Mahendra Singh Dhoni and now Kabir Khan is making a film on the Indian cricket team's World Cup victory in 1983. If a biopic is made on Ganguly's life, then which actor should play his role? "It is difficult for me to answer that question because I haven't thought about a biopic on my life. People should first make a biopic of other sports personalities and if people have an interest in my biopic, then we will see. "I really liked the biopic of Milkha Singh and Mahendra Singh Dhoni. The film on Sachin Tendulkar was a bit different. Now, I have heard that the film on India's 1983 World Cup win is being made. I feel that was a great time for Indian cricket, so I am looking forward to see that film. As far as my biopic is concerned, we will wait and see as at the moment I haven't thought about it." Asked if he has been approached by ALTBalaji to make a web series on his life, he said: "Is it Miss Ekta Kapoor's production house? Because I am not aware of production houses and if yes, then I have spoken to her but nothing more than that." "22 Yards" is releasing on February 22. It is a triumphant tale of two individuals, a cricket agent and a young cricketer, overcoming numerous barriers and winning the toughest battle of life against all odds.